Copywriters know that if the headline is weak, the ad will never get read. The same is true of your content. Put a vague, waffly, or obscure headline on the best piece of content the world has ever seen, and it still won’t get read. Even if you have a decent-sized audience, you still need to persuade them, day in and day out, to continue giving you their attention. Great headlines help with that. Now the best headlines can’t help content that’s consistently thin and weak. But it will do a lot to increase audience engagement for quality content, as well as shares and links. Look, I get it. You wouldn’t be a writer if you didn’t have a secret love of clever wordplay. Puns and in-jokes and linguistic play are the writer’s delight. Just realize … they may not be your audience’s delight. Thinking carefully about language will make it clearer and more powerful, and that’s what you want. 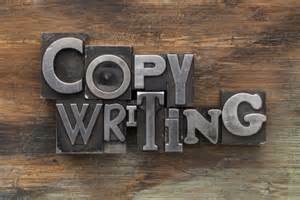 But great copywriters know that cleverness too often leads directly to audience confusion. A dash of cleverness here and there can add seasoning, so if you do use it, use it sparingly — and never in a headline. As a content marketer, you’re not (I hope) writing endless pages of dry, factual information that merely answers questions. You’re publishing information that both entertains and educates your reader — and you’re doing it in the framework of a Big Idea. Think “1000 Songs in Your Pocket.” You’re looking for the instant communication of a desirable benefit, compressed into a memorable statement. It’s not always easy to find, but if you keep looking, it’s there. Don’t just be another writing or design or fashion or parenting blogger. Frame your content with a compelling Big Idea. The best copywriters are the most tenacious researchers. Like miners, they dig, drill, dynamite, and chip until they have carloads of valuable ore. Gather seven times more interesting information than I could possibly use. If you’re writing authoritative content, it only follows that you’re also an obsessive student of your topic. Get beyond the “big blogs” everyone in your topic reads — go to the rare, obscure resources, especially if they’re chewy and difficult for the average reader. Dig, drill, dynamite, and chip. The depth and richness you’ll gain will show. The key to a successful restaurant was not location, great food, or low prices — it was the presence of a starving crowd that needed and wanted what your restaurant had to offer. And of course, the same is true for any kind of business. Your “starving crowd” is your audience — the people who are hungry for what you have to say, in the way that you say it. Traditional direct marketers used expensive response lists to find this out. In the online content world, we can gain a lot of that knowledge through listening to what our audiences have to say, both on our own sites and in forums or other social media. When you know what your audience wants, you can create the perfect product or service to meet that desire. Advertising doesn’t create a product advantage. It can only convey it…. No matter how skillful you are, you can’t invent a product advantage that doesn’t exist. Getting the product or service right is great marketing — and when you pair it with solid persuasion skills, you’ll be unstoppable. Writing direct response copy always serves a specific purpose. You’re writing to stimulate a specific behavior. If you get that behavior, you win. If you fail to get it, you lose. The economics of content marketing allows us to experiment more, but you still want to develop an idea of what, specifically, each piece of content you create is intended to accomplish. But drifting around and publishing “to see what happens” should be kept to a minimum. Tell the truth but make truth fascinating. You know, you can’t bore people into buying your product. You can only interest them in buying it. We’re fans of David Ogilvy around here, as D.O. was a long time champion of education-based marketing.